Dassault Systemes, a leader in PLM and 3D solutions, and software innovator, has presented last critical hotfixes for all SP to DS V5R22 CATIA\DELMIA\ENOVIA. A hotfix is a software maintenance package containing a small number of code fixes, designed to fix a small number of critical problems. A hotfix enables a customer to receive fixes for urgent problems, without having to wait for the next service pack. As a world leader in 3D and Product Lifecycle Management (PLM) solutions, Dassault Systemes brings value to more than 130,000 customers in 80 countries. 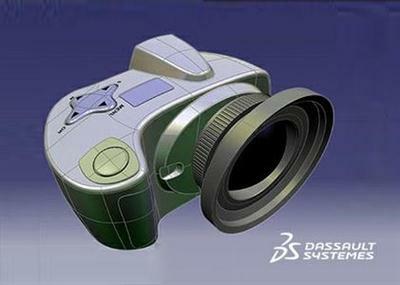 A pioneer in the 3D software market since 1981, Dassault Systemes applications provide a 3D vision of the entire lifecycle of products from conception to maintenance to recycling. The Dassault Systemes portfolio consists of CATIA for designing the virtual product - SolidWorks for 3D mechanical design - DELMIA for virtual production - SIMULIA for virtual testing - ENOVIA for global collaborative lifecycle management, EXALEAD for search-based applications and 3DVIA for online 3D lifelike experiences. ATTENTION: It SP's HotFixes only! To install them you need DS CATIA-DELMIA-ENOVIA V5R22 32/64 with corresponding Service-Pack to be preinstalled!